Another artist I would like to introduce. A very, very experienced Jewelry artist, Bobbi. 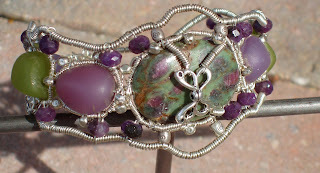 She is not just passionate in her jewelry making, check out her stuff and you will notice how she creates magics. Without her those stones cannot stand out, and with her hands she turns ordinaries into miracles.